Today Viaplay, the leading Nordic streaming service and a part of the MTG-group, announced that Matrix star Keanu Reeves is confirmed for their first original series – Swedish Dicks. Reeves appears in a number of episodes in the comedy series starring Peter Stormare (Prison Break, Fargo) and Johan Glans (#1 comedian in Sweden). Swedish Dicks is currently shooting in Los Angeles and will premiere exclusively on Viaplay this Fall. Swedish Dicks is an American production, produced in collaboration with LA based Viking Brothers Entertainment and Peter Settman’s international production company Brain Academy, a part of MTG-owned nice entertainment group. “The fact that we have such a talented list of stars really reflects the potential of this series and the high quality of the production. The passion from Brain Academy and Viking Brothers making this fantastic story come to life will make this into a series you don’t want to miss. 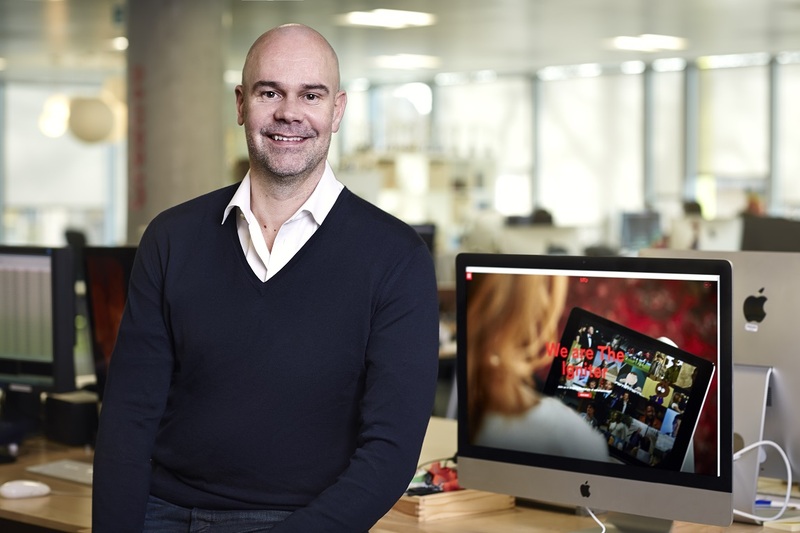 We are already seeing a lot of interest from other international broadcast and TV companies and look forward to the premiere on Viaplay later this year.” says Jakob Mejlhede Andersen, EVP and Group Head of Programming and Content Development at MTG. “I’m very happy to be a part of Swedish Dicks and I love how progressive the whole show is. The scripts are amazing and it was great to have the opportunity to work with Peter Stormare again.” says actor Keanu Reeves. Swedish Dicks, created by The Viking Brothers, Andrew Lowery and Peter Settman, is a comedy series set in Downtown Los Angeles. The first ten episode season centers around Ingmar (Stormare), an ex stunt man, now trying to survive as a small time private detective. One day his miserable life takes a new turn when he stumbles into Axel (Glans), a former, somewhat successful DJ. Together they partner up and start their own private investigator firm, Swedish Dicks. They become a great team taking on the strangest and wildest cases in LA, but when Ingmar’s past catches up with them they have to solve the murder mystery of Ingmar’s former stunt buddy Tex (Reeves). Besides Stormare, Glans and Reeves, the cast includes actors like Vivian Bang, Felisha Cooper, Traci Lords and Eric Roberts. “With Keanu Reeves joining this incredible cast and crew, I know this series that started out as a passion project will be a smoking hot addition to the American market ”, says producer Glenn Lund. Viaplay is the No1 provider of digital entertainment when it comes to series, movies, sports and kids content. Viaplay connects you to your favorite kind of entertainment where ever you are. You can discover and enjoy full seasons of series, the broadest library of box office movies and live sport events such as Premier League, UEFA Champions League, NHL and Formula 1. Viaplay can be accessed through the web, on iOS, Android, Smart-TVs, Viasat Set-Top-Boxes, Xbox One, Xbox 360, PlayStation®3 and PlayStation®4. Read more at www.viaplay.com. Brain Academy is an international production company focusing on talent. We search the globe for talented people on top of their game doing what they love most – to create, produce and deliver high quality, original and entertaining scripted entertainment. Across the world.On all platforms. We are part of the MTG-owned nice entertainment group. Viking Brothers Entertainment is a Los Angeles based production company run by Peter Stormare, Glenn Lund and Nina Lund. We tell stories with dark, funny and complex characters utilizing talent and material from Scandinavia to transcend into bold stories for a universal audience. Vikings always go their own way but end up in the center of the action.